Today's stroll, I would be breifing you on a quick procedure on how to unlock any blackberry device. With this tutorial, I don't think you need to spend a dime, going to any engineer or phone unlock centers for your BB device unlock. Now, in unlocking the blackberry device, they are two useful methods which works smoothly. Either you make use of the IMEI and MEP or the PRD and IMEI to unlock the device. As for me, I would rather prefare the use of IMEI and MEP method to unlock. 2. 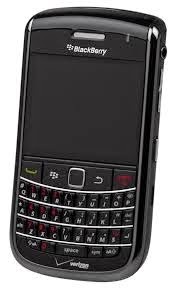 Then connect your blackberry device to a system using usb cable connection, then your IMEI and MEP would be displayed. 4. Finally, run the program on your system, then input the IMEI, PRD and MEP in the directed interface displayed. Take note, once the unlock code is generated, you're to input it on your device. Don't make much mistakes because you would be given only 10 trials which after your device would be permanently locked if all trials are being exceeded. Less I forget, try and join our feed readers, so that all our future updates would be directly sent to your email. To join click Here.